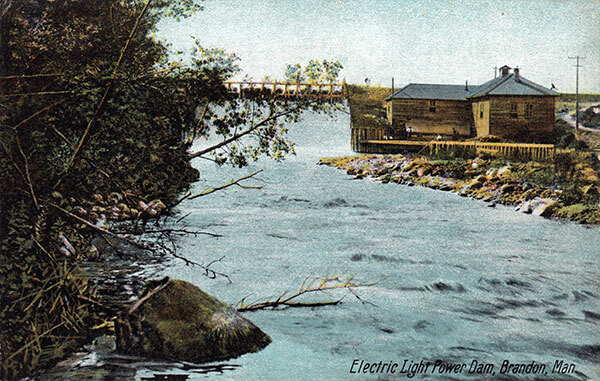 Known by various names, including the Brandon Dam, 10 Mile Dam, and the Minnedosa River Hydro Plant, this structure was the first hydroelectric power generating station in Manitoba. 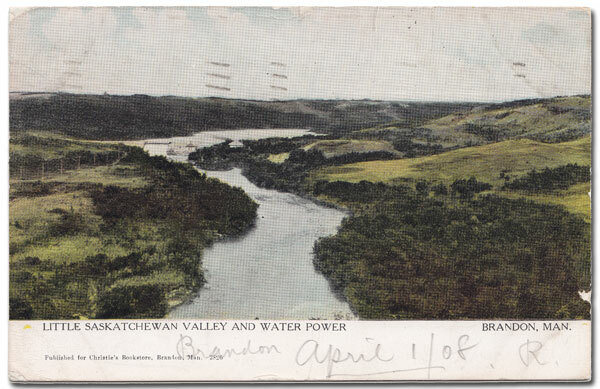 Built in 1900 by the Brandon Electric Light Company, on the Little Saskatchewan River (also called the Minnedosa River) in the Rural Municipality of Whitehead, it provided power to City of Brandon via a 14-kilometre transmission line. It operated annually from April to November, shutting down during the winter months. 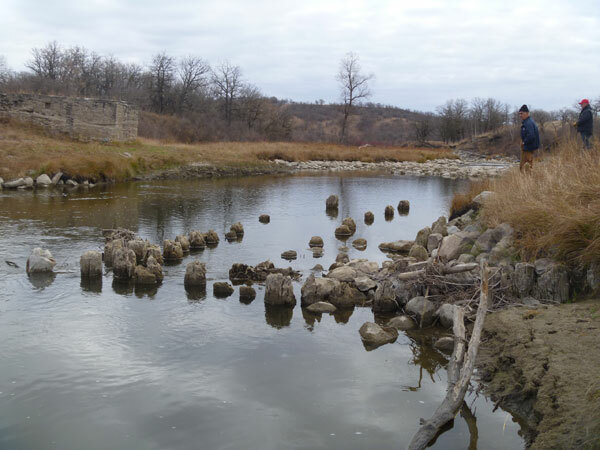 The dam consisted of vertical wooden timbers distributed across the river valley, about 80 metres wide, reinforced with clay and stones. The hydraulic head of the dam measured up to 30 feet (9.1 meters), and the facility was estimated to generate about 0.6 megawatts of power. The station was decommissioned in 1924. 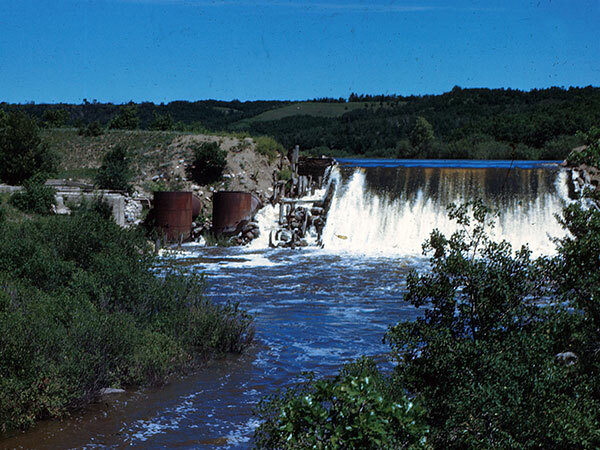 The final remains of the dam were destroyed in May 1948 by a flood of water released when the Minnedosa Dam upstream of the site broke. As of 2012, only the stumps of a few wooden posts are visible in the river at the site, and the concrete foundation of the powerhouse remains on the east river bank. The site is located on private property and is not accessible by road. Minnedosa River Hydropower Station, Association of Professional Engineers and Geoscientists of Manitoba (APEGM) Heritage Committee. Powering the Province: Sixty Years of Manitoba Hydro, Winnipeg: Manitoba Hydro, 2011, page 11. We thank Charley Bird for providing additional information used here. 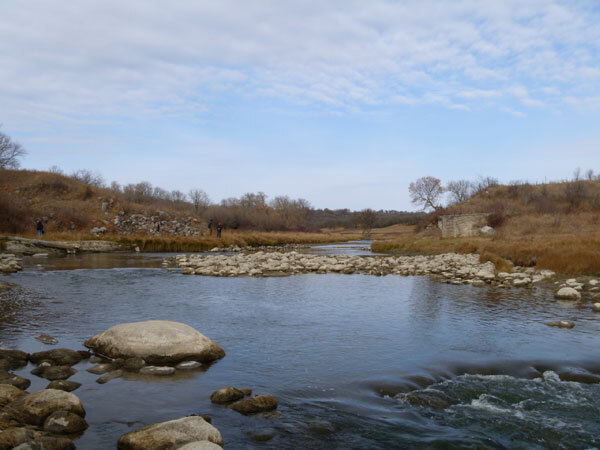 This page was prepared by Glen Cook (Heritage Committee of the Association of Professional Engineers and Geoscientists of Manitoba) and Gordon Goldsborough.